Stephen Travis Deichelmann was born on 19 September 1944. He was serving as a Captain in the United States Air Force when he died on 27 September 1971. 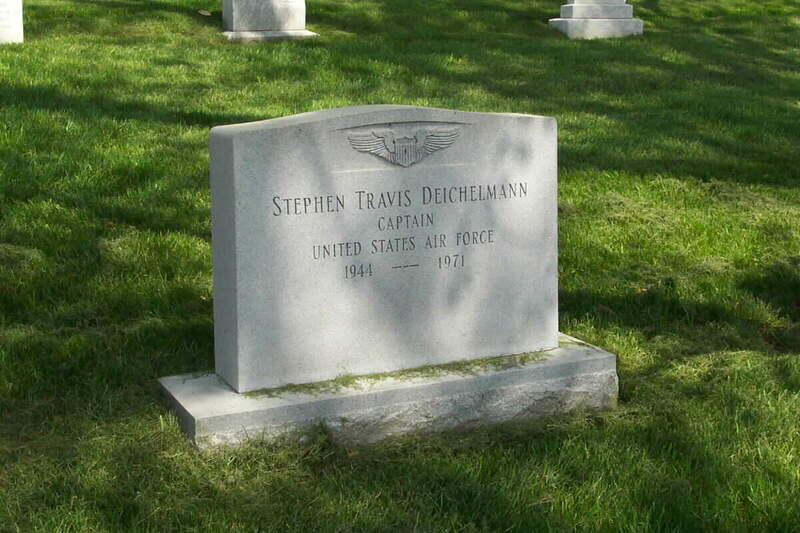 He is buried with his Father, Matthew Kemp Deichelmann, Major General, United States Air Force, and his Mother in Section 3 of Arlington National Cemetery. He apparently was killed in a mid-air collision over Vietnam. His brother, Samuel Mackal Deichelmann, Major, United States Air Force, was killed in Vietnam and his body was not recovered. The Major has a memorial stone in Arlington National Cemetery.